Dogs require high-protein diets. However, there are instances when a reduction in the usual amount of proteins in a dog’s diet is required. Dogs that are sick with a certain condition can benefit more from a low protein dog food than if it were to stick to the usual high protein diet. As such if your dog has a health condition that warrants the giving of low protein foods, then you really have to provide your pet with only the best. Our team searched far and wide to bring to you 8 of the best low protein dog foods. 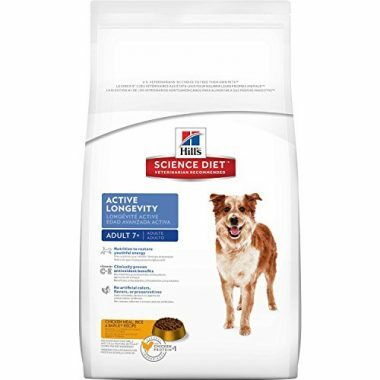 With a minimum amount of protein at 16.5%, the Hill’s Science Diet Adult 7+ Active Longevity Dry Dog Food is undoubtedly one of the best low-protein foods in the canine world. Packed with essential vitamins and minerals, Active Longevity uses only chicken meal as its principal animal protein source. 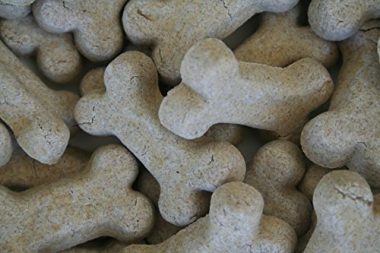 However, for those who are wary about having gluten in their dog’s diet, the Active Longevity may not be a great buy since it does contain wheat, corn, and soy. Nevertheless, if it is low protein dog food you’re after, Hill’s Science Diet has you covered. 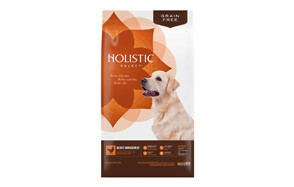 It may not have protein content that is as low as the Active Longevity of Hill’s Science Diet, but Holistic’s Select Natural Weight Management Grain Free Dry Dog Food is simply ideal for those who would like their doggies to have better digestion and enhanced immunity. The Select Natural comes with 10 species of gut-friendly probiotics which is quite unheard of. The protein content is not bad either at 26% minimum. Plus, it doesn’t contain gluten so you can feel a lot safer giving it to your furry pal in case you’re wary of such ingredients. It even throws in carnitine and glucosamine for improved metabolism and joint health. 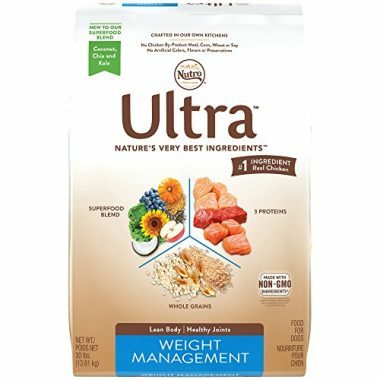 Nutro’s Ultra Weight Management Adult Dry Dog Food features an excellent combination of low-calorie, low-protein, and low-fat formulation and joint health-beneficial ingredients. The formulation is achieved through the use of 12 different superfoods to give your pet dog one of the best nutritional profiles in canine chow. The essential fatty acids plus taurine present in the Nutro Ultra ensures optimum central nervous system and immune system functioning in dogs. The wholesome grains in the mixture help with healthier digestion while also providing additional nutrients. 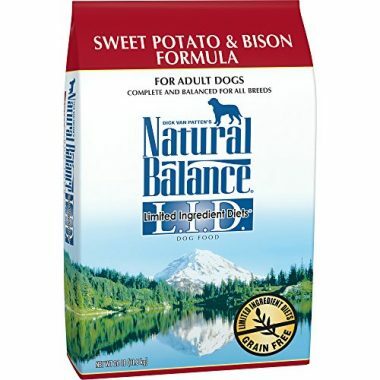 As the name implies, Natural Balance’s Limited Ingredient Diets Dry Dog Food very limited real food ingredients namely, bison and sweet potatoes. The remaining ingredients are technically extracts from different food sources. While Natural Balance doesn’t have protein content that is as low as Active Longevity, it still does a good job of lowering its protein content to a minimum of 20%. This should play well for your pet that may require low-protein diets. There’s added essential fatty acids, too to help promote healthier coat, skin, and nervous and immune systems. Not really a dog food, Mattie’s Treats boasts of low-protein semi-moist doggie treats that uses plant-based proteins as its principal source of the nutrient. It does have fish oil added to make sure your dog also receives the full benefits of essential fatty acids. It is designed specifically for pooches that are suffering from chronic kidney disease whereby the addition of extra amounts of protein may hasten the deterioration of kidney function. It doesn’t contain gluten from corn, wheat, or soy, too. 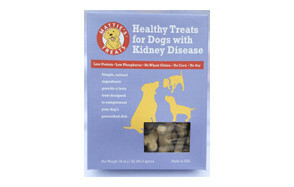 Additionally, the low-phosphorus formulation of Mattie’s Treats can help lessen the burden on the already-ill kidneys. 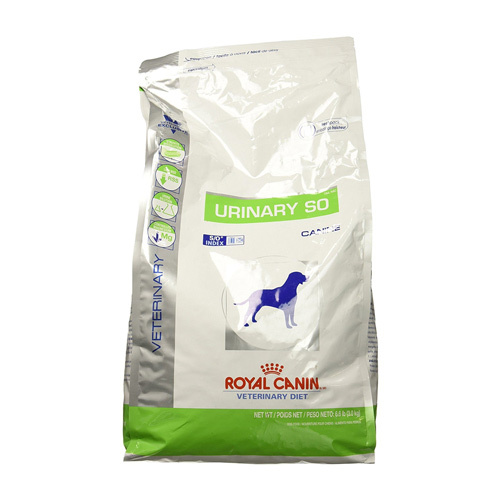 If you’re looking for a really low-calorie, low-protein, and moderately low-fat diet for your canine friend, then Royal Canin’s Urinary SO Canine Veterinary Diet Dry Dog Food is an exceptional choice. As a matter of fact, the Urinary SO is especially formulated for dogs that are suffering from chronic kidney disease, helping slow down the deterioration of kidney function. It is especially formulated with urinary acidifiers and struvite renal stone-dissolvers to aid in the healing of your dog’s kidneys. The levels of magnesium and phosphorus are quite limited, too, further lessening the workload of the urinary system. The anti-inflammatory properties of emega-3 fatty acids can also help. 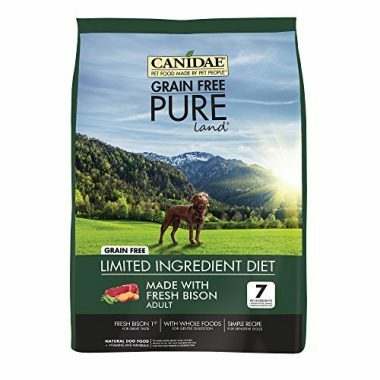 The dry dog food formulation of CANIDAE’s Pure Land Limited Ingredient Diet may not have the lowest amounts of protein in this list, but it sure makes up for it by including a blend of prebiotics and probiotics to aid in optimum digestive and immune system functioning. It has the highest calorie content per serving in this list, however so you might also want to be especially cautious if your dog is already on the heavy side. With bison and lamb meal forming the core of its animal proteins, Pure Land is sure to help provide for gentler tummies. The essential fatty acids should help minimize the inflammation on the kidneys. Blue Buffalo is especially known for its LifeSource Bits technology. That’s the same with its Life Protection Formulae Adult Dry Dog Food that is best characterized as a low-protein, low-calorie, and low-fat canine diet. 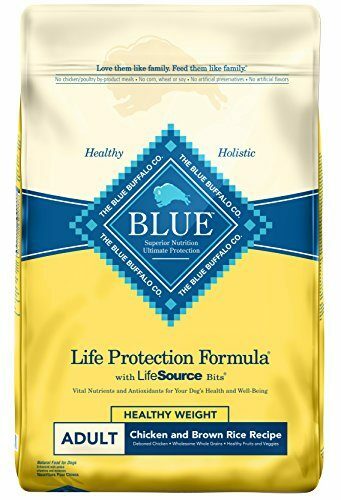 It’s got the same nutritional goodness of other Blue Buffalo pet foods except that Life Protection is especially formulated for pets that may have a special need for lower levels of protein. It comes with probiotics and nutraceuticals for healthier joints. Carnitine is added for better processing of proteins and other macronutrients. Life Protection is also a great choice for pet parents who may be worried about giving their pets cereal grains. 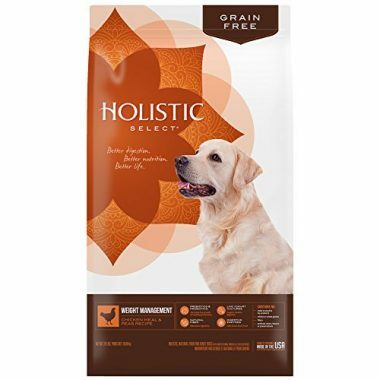 Going for the best low protein dog food in the market can be exceptionally difficult since most pet parents are not even sure when can a dog food be considered as ‘low-protein’. To help you understand this unique nutritional requirement of certain dogs, we’ve dedicated this section to answering some of the most common questions that pet parents have about low protein dog foods and how you can choose the best one for your beloved pet. As we have mentioned in the beginning of this article, dogs – or any organism for that matter – need proteins to help build, grow, and develop cells and tissues, synthesize hormones and enzymes as well as other substances of physiologic importance, and contribute to the overall development of the organism. Proteins, like all other nutrients and substances that enter the dog’s body, have to be processed by a variety of organs but mostly the small intestines, the liver, and the kidneys. The small intestines is where proteins in food are digested and broken down into their component amino acids to be absorbed into the dog’s blood. The liver is the organ that processes the many byproducts of protein metabolism. The kidneys are what eliminate nitrogenous wastes and other substances so that the body will not be filled with these unnecessary molecules. It can, thus be understood that any problem that may arise in these organs may require a low-protein diet. This is to allow the said organ to heal itself first as processing proteins is often an ‘energy-intensive’ process. This is especially true in dogs with chronic failure in one or both kidneys. What happens in chronic renal failure is that the kidneys are no longer filtering the blood going through its network of cells. This results in the absence of urine production. The usual high-protein diet of dogs that typically range between 30 and 40 percent at the minimum can lead to further deterioration of kidney function. Additionally, since the kidneys can no longer remove the nitrogenous wastes in the blood these byproducts can accumulate and lead to even more serious problems such as encephalopathy and coma. The same is true for dogs that have liver problems such as hepatitis or cirrhosis. Since protein is no longer metabolized, then the accumulation of proteins in the blood can also lead to more serious problems. Reducing the amount of proteins taken by dogs should help relieve the burden on this organ. Of course if these organs are sick, then other nutrients or substances will be affected, too. Do take note that low protein dog diet is not equivalent to zero-protein diet. As we have already mentioned, dogs need proteins. 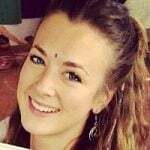 But if they are sick, especially involving the kidneys or liver, then they will need lower amounts of protein. The question many pet parents would like to know is how ‘low’ is low? According to experts, any dry dog food that has a minimum crude protein content of 18 percent can be considered as low-protein dog food. In our list of the best low-protein dog foods, you may have noticed that only 2 products, with the exception of Mattie’s Treats, actually comply with the 18%-minimum requirement. The thing is that there is now a paradigm shift in the management of kidney problems in dogs. Many vets today focus more on phosphorus levels rather than on the amount of protein in a dog’s diet. This paradigm shift is based on the observation that dogs with mild to moderate kidney impairments fared better when their intake of phosphorus was restricted. However, if your dog has already been diagnosed with severe kidney problem, sufficiently high levels of protein in the urine (proteinuria), abnormally high levels of blood urea nitrogen (BUN), or even hepatic encephalopathy which is the accumulation of nitrogenous wastes in the brain, then low-protein diet is a must. It should be clear from our discussion in the preceding section that low-protein dog foods can also provide a host of benefits especially for canines that really have a need for such a diet. Let us summarize these benefits in the following points. It allows for organs involved in the metabolism and elimination of proteins and their byproducts to have a much-needed rest, while also reducing the overall work that these organs have to perform. It helps minimize or alleviate the symptoms associated with the disorders in these organs. It helps prevent the accumulation of nitrogenous wastes and other toxins in the blood which can lead to encephalopathy and other serious health conditions for your dog. It aids in the reduction and elimination of certain types of stones or crystals that may accumulate in the urinary bladder, leading to blockage. The following health conditions in dogs may require limiting protein intake. Clinical studies have shown the role of restricting protein intake in slowing down the disease process involved in renal failure. It is important to understand what renal failure is. This is a state of the kidneys whereby it can no longer perform its fundamental function of producing urine by filtering blood and removing wastes for elimination in the urine. Because it can no longer remove metabolic wastes especially the nitrogenous wastes resulting from protein metabolism, then these nitrogenous wastes lead to an increase in blood urea nitrogen. If you give more protein, then there is a tendency that more nitrogenous wastes will accumulate in the blood leading to more problems. Renal failure in dogs can be brought about by a variety of conditions such as Lyme disease, systemic lupus erythematosus, diabetes mellitus, chronic gastrointestinal diseases, genetic abnormalities, hypertension, and even skin infections. There is also what experts call protein-losing nephropathy of PLN. While this is not necessarily renal failure, PLN is considered a disease entity that is associated with a rapidly-advancing renal failure. The filtering mechanism of the kidneys become severely damaged allowing even large molecules like protein to pass through. It’s like having a big hole in your mesh bag that all of your bag’s contents fall off. The same is true in PLN. The holes in the filtering mechanism of the kidneys have become larger, increasing the loss of proteins in urine, a condition called proteinuria. While the natural reaction is to increase protein intake to help replace the proteins lost in urine, doing so will only increase the size of the ‘holes’ even more. Reducing the protein intake, on the other hand, will also limit the number of protein molecules lost in the kidneys. The liver is a very efficient organ especially when it comes to processing toxins. Unfortunately, the liver is not immune to developing problems. When this happens, it will no longer be able to process the various toxins in the body. One of these noxious substances is nitrogenous waste materials. When nitrogenous wastes are not effectively processed by the liver, they accumulate in the blood and can reach the brain resulting in what experts call hepatic encephalopathy. Reducing protein intake will help reduce the amount of nitrogenous wastes that the liver will have to process utilizing whatever limited resources it has left. This can help reduce if not eliminate the accumulation of nitrogenous wastes in the blood. While accounting only for about 6 percent of all urinary bladder stones found in dogs, urate crystals have been shown to respond very well to low-protein diets especially those that come with natural acidifiers like cranberries. The important thing to understand about the use of low-protein diets in dogs with urate bladder stones is that the diet is usually temporary. Once the urate crystals have been dissolved, your dog can return to its usual high-protein diet. Now that we’ve covered almost everything about low-protein diets in dogs, let us now focus on how you choose the best low-protein dog food for your pet. Here are some tips on how you can easily accomplish this. Whether it is high protein or low protein, you should always go for products that have animal proteins as their primary source of proteins. Why? Animal proteins are more easily digested by your pet so there are actually more proteins that will be utilized by your dog’s cells. This can also help reduce the number of proteins that are wasted. We mentioned that a good low-protein dog food should have a minimum of 18 percent crude protein. Do take note that this is the dry matter weight of the dog food. So if you are going to get a wet dog food, make sure to compute for its protein component on a dry matter weight basis. Here’s how. Suppose you have a product that contains 75% moisture and 10% protein. You will have to subtract 75% from 100% to get 25% which is the percentage of dry matter. From this 25% you will then have to compute for the percentage of protein. So, divide 10% by 25% to get 40%. This means the wet dog food actually has a minimum protein content of 40% and not 10% as printed on the label. While it is important to reduce protein intake for your dog, you still have to make sure that your dog will be getting a well-balanced meal. This essentially means that the dog food should still contain all the fundamental ingredients of a well-balanced canine nutrition. You may reduce its protein but if you also increase its fat, then it is also not good. Protein is one of the 3 very important macronutrients that all organisms need to survive, especially our dogs. 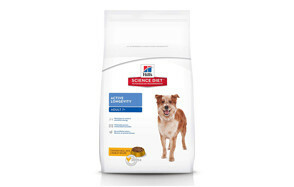 However, problems in the kidneys, bladder, and liver may require some degree of reduction in our dog’s protein intake. Before you consider any of our 8 best low protein dog foods, make sure talk with your veterinarian about it first.